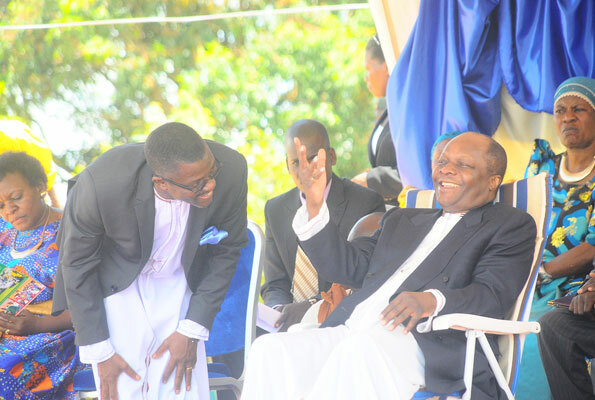 Kabaka Mutebi speaks to kingdom prime minister Peter Mayiga at a function early this year. Net picture. 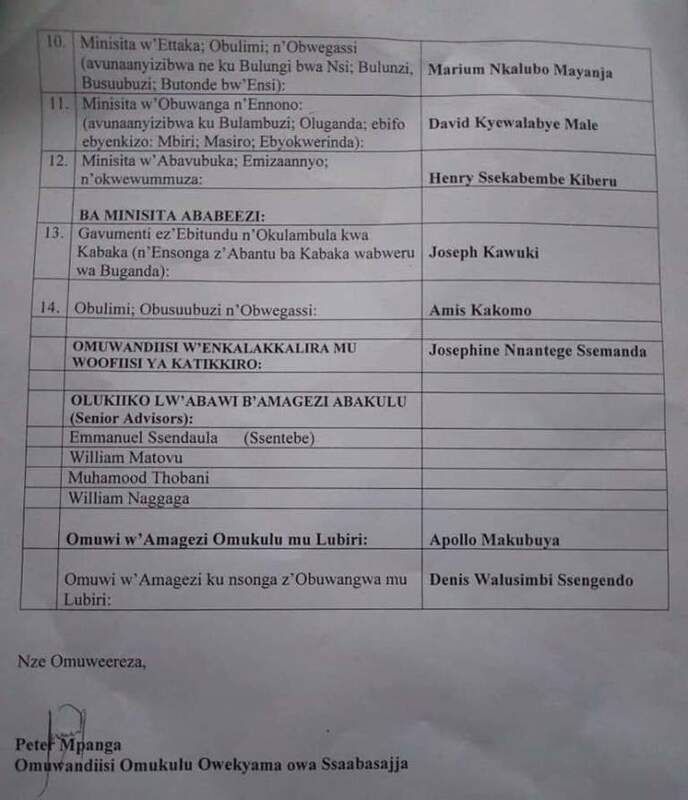 MENGO – Kabaka Ronald Muwenda Mutebi II has Friday, February 22, read a new cabinet making a few changes here and there. Kabaka Mutebi dropped Ambassador Emmanuel Sendawula from First Deputy Katikkiro replacing him with Hajj Twaha Kigongo who is also Minister in charge of Administration and ICT/Innovation. Kigongo has been serving as 2nd Deputy Prime Minister and Minister for Education. Speaker Nelson Kawalya has also been fired and Patrick Mugumbule named new Lukiiko Speaker. Mugumbule will be deputized by Nelson Lwasa who retains his position as Deputy Speaker. Also notable among the changes is the appointment of Christopher Bwanika as Kingdom Attorney General replacing prominent lawyer Fred Mpanga. 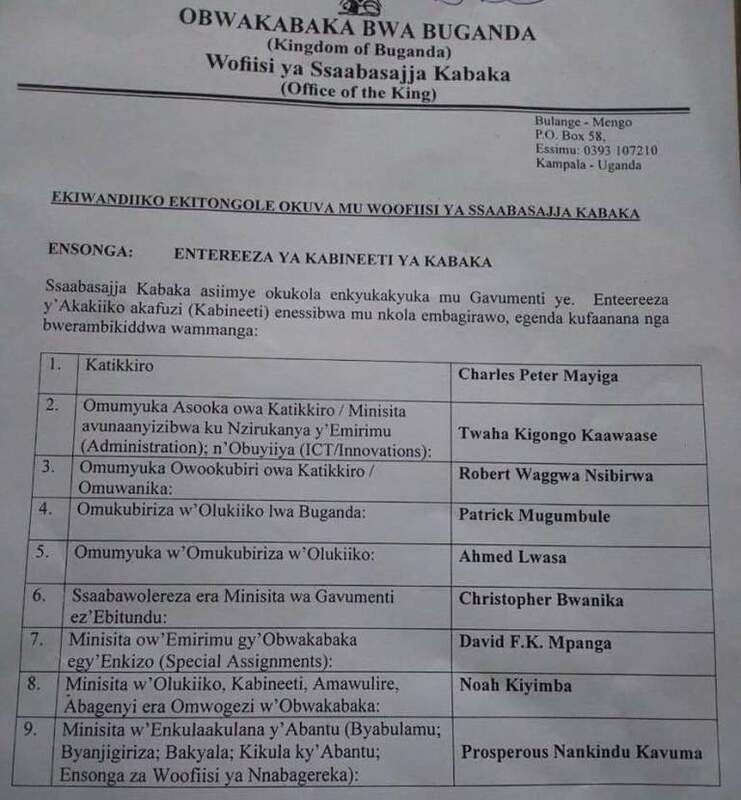 Mpanga who has also been the Kingdom Local Government Minister has been at the helm of the positions since 2013. Counsel Mpanga has been appointed Minister in charge of special assignments. 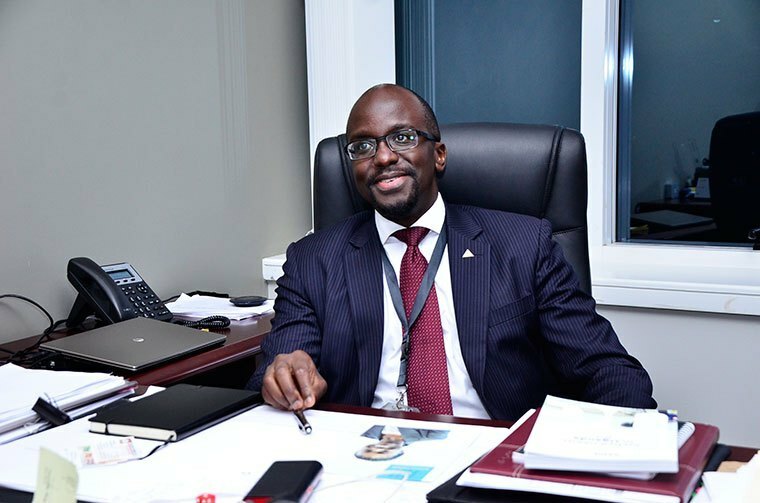 Apollo Nelson Makubuya, who has been serving as 3rd Deputy Katikkiro and Minister for Justice and Constitutional Affairs, has now been appointed Kabaka’s Chief Adviser.